Firstly, I wanted to get something that would go with lots of different make up looks, an 'every day' shade I guess you could call it. I decided to go for the Tarte Amazonian Clay 12-hour Blush in Exposed as its just the perfect mauvey-pink shade (that isn't too pink) and pairs with all my mauvey-pink lipsticks very nicely. 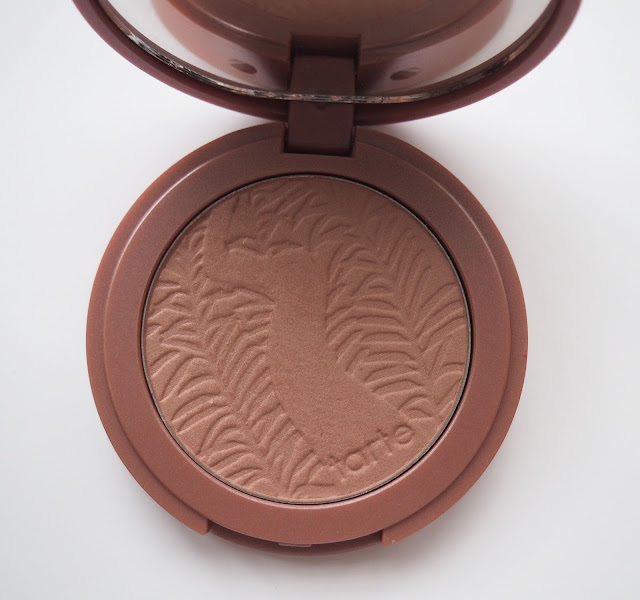 The packaging of this blush is just so cute with the embossed pattern on the product and the little mirror in the lid. It's also genius because its colour coded so if you own a few of these (which I totally will very soon) then you can easily see which one is which. The name '12-hour blush' is a pretty big claim but I do feel it lives up to it, normally by the end of a working day my blusher has faded into nothing but with this its still hanging on in there well. 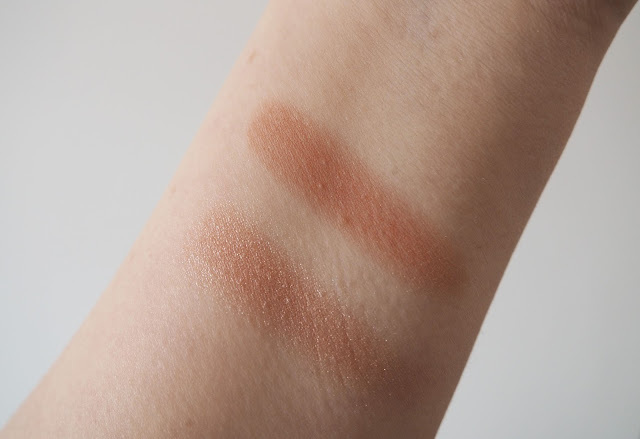 The pigmentation is intense which means you really only need a little sweep to achieve a natural flush, if thats not your thing though and you prefer a more noticeable colour then it builds up well too. 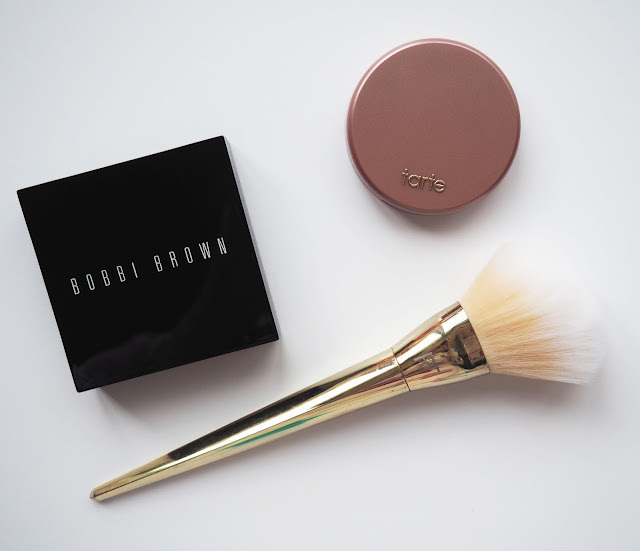 For some unknown reason I had nothing by Bobbi Brown in my stash which I find bizarre as I spend a lot of time lusting over their products. They have so many iconic products but I decided to go for the Shimmer Brick in Rose. The first thing that gets me about this is how bloody pretty it is with its pink shimmeriness (?) 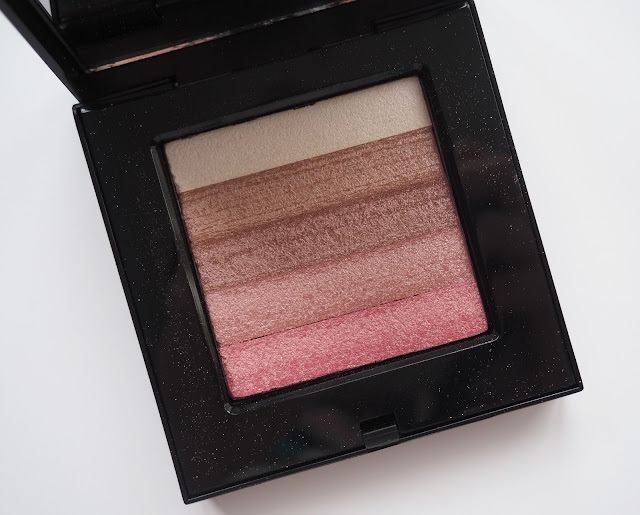 so lets all just take a moment to gaze lovingly...... As well as being a pretty product its also a smart one as it has so many uses- each colour can be used as eyeshadows, it works beautifully as a blush/ highlight or even layered over another blush to add a bit of an extra dimension. Personally I like to get my brush, swirl it around in all the colours and then add a light layer to the apples of my cheeks to give a nice healthy glow. This is going to be perfect for 'no make up' make up days when I just want to give my skin a little something. I'm so happy with both of these and can see myself using them so much, I'm already struggling to put them down. However, any other high end blushes that people are loving at the moment I want to know about so please leave me a comment.